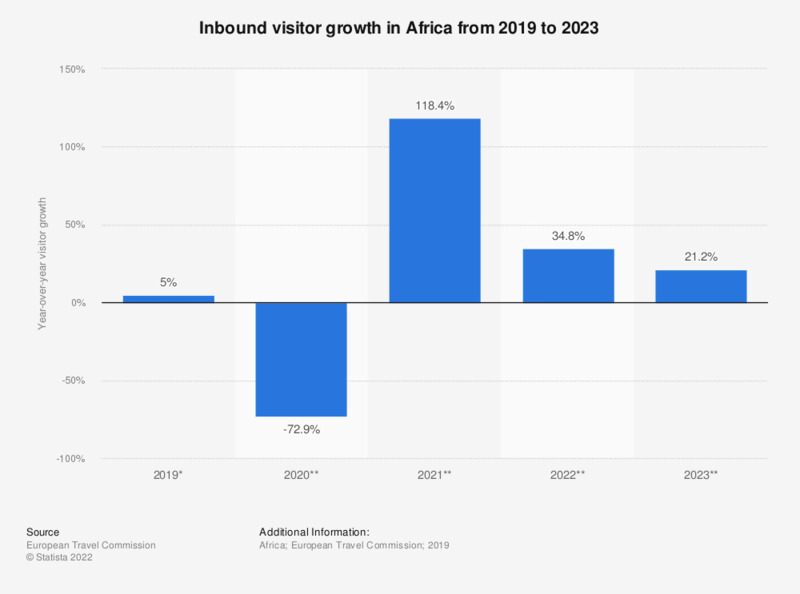 This statistic shows inbound visitor growth in Africa from 2011 to 2020. In 2016, inbound visitor numbers to Africa decreased by 0.8 percent over the previous year. In 2015, they decreased by five percent. * Figures for 2017 are estimates. Figures for 2018, 2019 and 2020 are forecasts. Inbound is based on the sum of the country overnight tourist arrivals and includes intra-regional flows. Figures were calculated using the Tourism Decision Metrics (TDM) model. Figures for 2011 to 2015 come from earlier reports.